What Is Your Flickr Anniversary? I can’t count how many times my relationship with Flickr nearly ended over the past decade. I subscribed in October 2005, making 10 years ago this month. 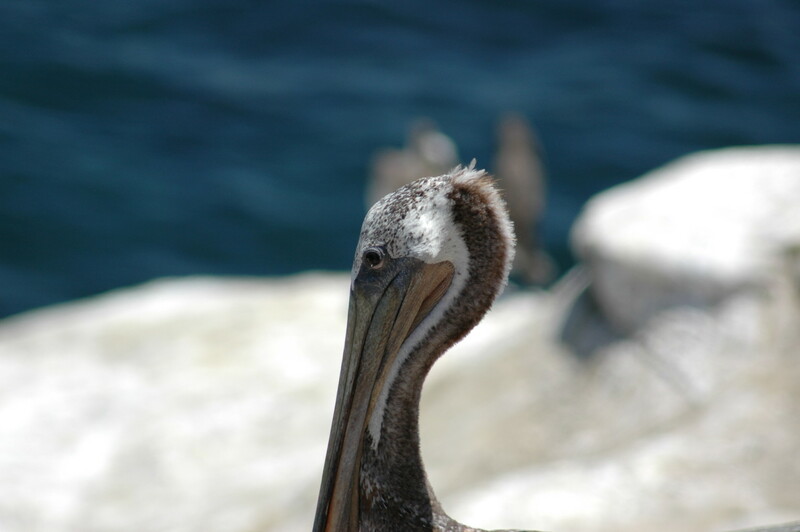 For reasons I cannot guess, my oldest uploaded photo is the Pelican, on Ground Hog’s Day 2006. I shot the bird with Nikon D70 and Nikkor 70-300mm f/3.5-5.6 lens while vacationing in San Diego (where I now live) in August 2004. I don’t have an exact date during the month, just a receipt for a Pro membership on May 6, 2006. I maintained Pro until Flickr (more or less) ended the option in May 2013. But Yahoo brought back Pro accounts in July 2015, offering perks to previous subscribers. Last month, I renewed mine for two years, for $44.95. My relationship with Flickr is love-hate. For the longest time I favored SmugMug, which is my favorite photo-sharing service. Last year, I took advantage of a special for 500px and have yet to upload a single photo. I stay with Flickr because of community and the large number of people posting Creative Commons rather than All Rights Reserved—that’s what I do. If in the class of shooter that posts magnificent moments to 500px or SmugMug for sale, I would favor both services. Something else: In January, I started my Flickr-a-Day project: Posting one pic from a different photographer every day. No repeats, and all licensed CC. Day 282 posted this morning. But if I could redo, the postings would be bigger than the one service. For 2016, to encourage myself to shoot more, and better photos, I may post one of my pics a day. Interesting aside: Curating Flickr a Day has been an education in technique and composition. They say avid readers are better writers. Is the photo editor a better photographer? I’d like to think so. Consider the Pelican, which I would compose very differently today than done 11 years ago. I make no claims to great technique or composing style now. I still am admittedly amateur. But as I learned curating photos for nearly 300 days, it’s the story the image conveys that matters more. Storytelling I can do, and well. As for Flickr, while I renewed Pro and will continue posting, my heart belongs to Google Photos. Soon after the service’s launch six months ago, I called it “disruptive innovation“. Google Photos tightly fits my Android and Chromebook lifestyle, which means auto-uploading and immediate, easy access anytime, anywhere, and pretty much on any device. Anyway, thanks, Flickr, for 10 years together. My time with parent company Yahoo is longer. I still have my original ID from 1996. Got to ask: When is your Flickr anniversary?